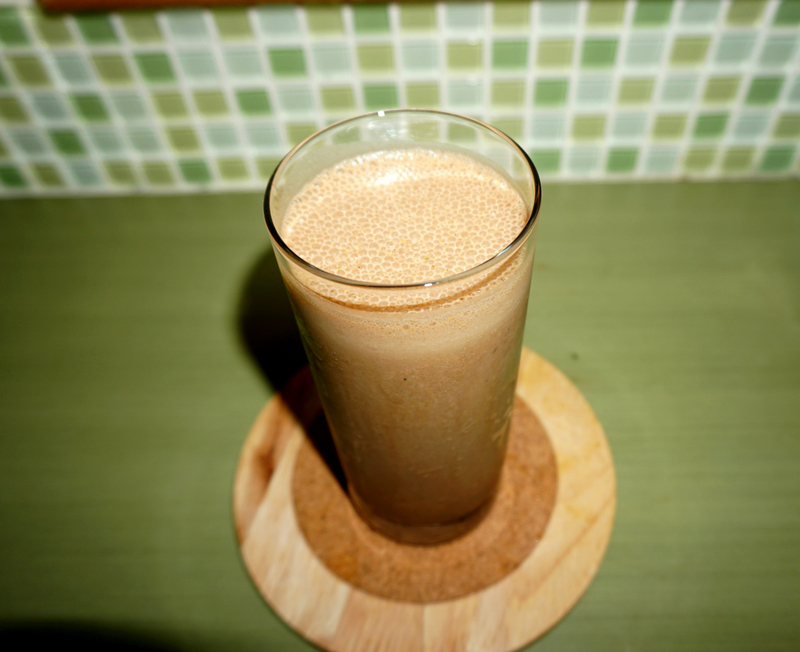 PB&C Power Smoothie – So… What Should We Make? A few things you’ll want to be careful about is the amount of sugar, fat and cholesterol in your protein powder – the lower the better. The brand of protein powder I personally use is VPX Zero Carb SRO (Serious Chocolate flavour, no brainer there). Each scoop provides me with 20 grams of protein, zero grams of carbs (which more importantly means no added sugars), < 1gram of fat and no cholesterol. Ok, enough talk – here’s the recipe! 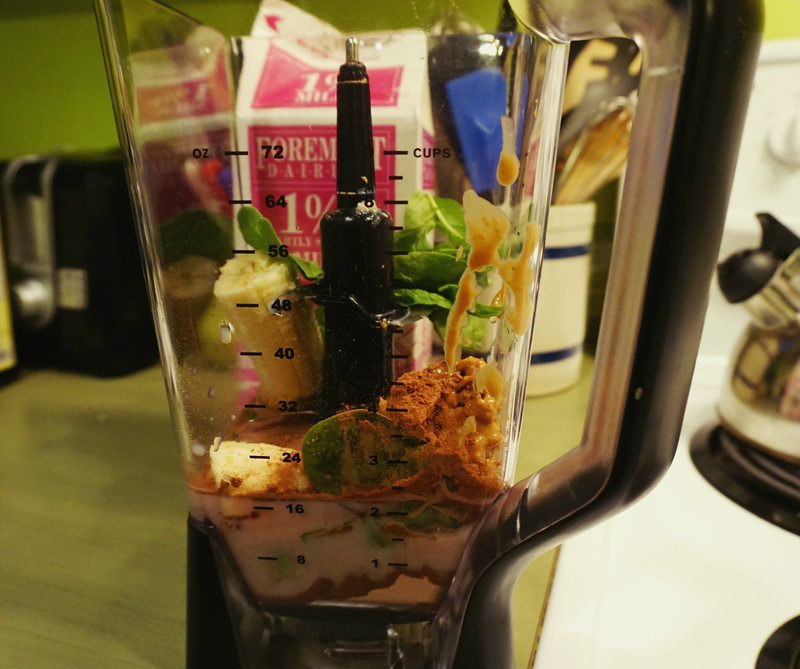 Put all of the ingredients into a blender and blend until smooth. Depending on your preferred consistency you can either blend in the ice with the rest of the smoothie, or put the cubes in whole at the end. If you struggle to make yourself breakfast in the mornings, make this instead. It takes no time at all, will provide your body with the nutrients it needs after fasting and will keep you full for a good few hours! Drink this soon after making it, otherwise the ingredients tend to separate and the smoothie becomes watery from the ice cubes.